Ok, I love movies. They are the greatest thing ever invented. And as such, they should be treated with the respect they deserved when being viewed. There are so many different ways to watch movies now a days. You can watch them on screens as big as the IMAX or as small as an iPOD. You can watch them in a movie theater or from the backseat of a minivan. You can watch them in a box; you can watch them with a fox. There are so many ways to enjoy movies. However, for me, there are a few ways that are inherently superior to others. Obviously, the best place to watch a movie is in a movie theater. Yes, ticket prices are going up; but there's nothing we can do about it. I have a lot of friends who don't like to go to the theater because it's too expensive. However, I feel that any movie worth watching is worth seeing on the silver screen. And, subsequently, is worth whatever admission is for that theater. Needless to say, I go to movies by myself a lot. When Inception first came out, I thought the trailers looked awesome. So I wanted to go see the midnight showing at the IMAX. But, my friends didn't want to spend $15 dollars on a movie they weren't too familiar with. They told me to go and report; if it's good, they will see it and I won't mind seeing it again. They did have a point. So I went by myself to the IMAX...and it was awesome!! So, a few days later we all went to go see it. So, what I'm trying to say is that the place to see a movie is in the theater, regardless of price. 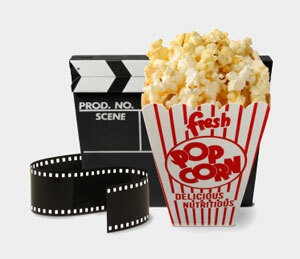 I personally like 'going to the movies' as much as 'watching the movie'. I love waiting in line to get my ticket, the smell of popcorn as I walk through the doors, the giant cardboard cutouts in the halls. What do they do with those? Do they just throw them away? If so, they should give them to me. Cuz that would be awesome. I never buy popcorn because I'm cheap, even though I always think I should to support the theater (cuz we don't want them going out of business). Once in the theater, I have to sit in the middle of the aisle. I always count the seats as I walk past. If I'm off to the side, it drives me crazy. I always like to sit about 2/4 of the way back from the screen. Also, the movie starts with the previews. If I miss any of the trailers, I am late for the movie. (Hell, I even like the crap they show before the trailers.) Once the previews start, I always wish I had a pen to write down the ones that look good, because by the end of the movie I can't remember what other ones are coming out. And if the movie starts with the previews, it ends after the credits. I like to stay for the credits for 3 main reason. Numero Uno: Sometimes there are extra scenes either during or after the credits. Numero Dos: I like to reflect about the movie. I just want to sit there and soak it all in. It's like waking up from a nap: you just don't immediately get up and going; you lie there for a second until you are fully awake. Similar thing. And Numero Tres: I actually read the credits. I like to see what kind of positions there are and imagine my name up there. Plus, sometime there are funny names scrolling by. It drives me crazy when people are all up'n'ready to leave as soon as the credits start rolling. Relax. Sit down. You might as well wait for everyone else to leave instead of being pushed out by the herd. The movie starts from the time the lights dim and ends when they come back on. One more thing. Midnight showings are the way to go. They are fun. Just the fact that you watched it before anyone else is sweet. I've only been to one where people dressed up. That was Star Wars Episode 3: Revenge of the Sith. I dressed up as a jedi; my friend as Leia. We all had lightsabers. I like to go to midnight showings as often as I can. (I also dressed up for Green Lantern, but it wasn't the midnight showing nor opening night; it was the next day). If there is no midnight showing, then opening night is the next best thing. I always watch the weekend box office and whenever they talk about a movie that just opened up that I saw, I always think Yes! $8 of those $22 million came from my pocket. I helped contribute to this movie's success. 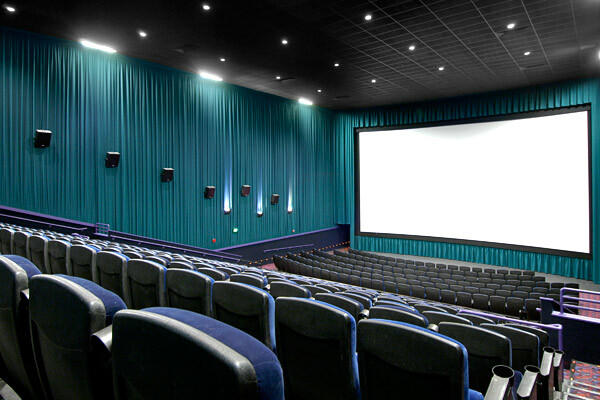 Movie theater: number 1 place to watch a movie. But, watching them at home is good too. The one advantage of watching a movie in DVD is all the special features! I use to watch these all the time back in high school; but now that I'm 'all grown up,' I don't have a lot of time for them. It's sad, I know. Do people actually watch movies on their phones and iPODs? I understand YouTube videos and what not. But actual movies? That seems like a waste of time to me; I'd rather read a book. *author's note: I did not have a clear idea of what I wanted to say as I began writing this; I just started rambling. So, let's hope it makes sense cuz I'm too lazy to change it.